So I'm doing 2 challenges at once as well as a few other things, eep! I am happy to start with Red on this challenge though as I have the BEST new red to show you. 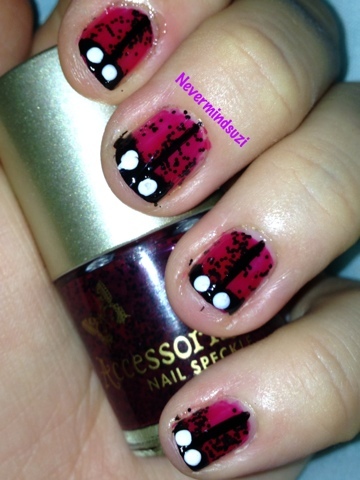 Accessorize Ladybird - a speckle polish. 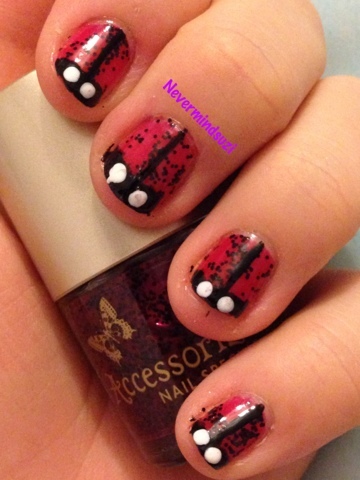 A red base with matte black glitter. Have you seen many ladybirds this year? And don't forget to check out what Diva and Wendy created this week! 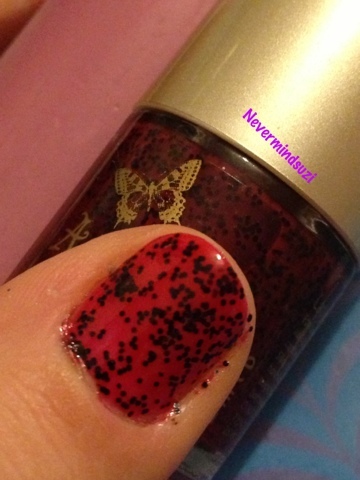 The infamous Ladybird, I still can't find it in my Superdrug!